I'm lucky enough to live opposite a park and each morning I get an eyeful of nature and its rich tapestry of colours before leaving for my cycle to work. About a fortnight ago I noticed the leaves have started falling and changing colour, along with the sharp dropping of the temperature, thus I thought it time to write about a few Assos products with layering in mind, its inherent complexities and how I find Assos make it so easy to get right. I've given myself a rather daunting task in covering layering as it's a very personal thing and therefore is difficult to actually write about, there are a million options, however I ask the reader to understand that I'm writing about a small section of this, which only applies to Assos and their ALS system. The changing seasons bring difficulty to your morning cycle clothing ritual due, in no small part, to the fluctuating weather and daily temperature. I check the weather every morning before leaving, this gives me a good idea of how I should dress, however too truly "get it" you must first make mistakes and listen to your body, do what it tells you. The core of Spring/Autumn gear is versatility, your gear must be light in weight (to easily stow), breathable, and have minimal yet smart features. Regulation of your body temperature is vital. Breathability = regulation. People mostly don't know how it feels to be the perfect temperature, no cold extremities, no hot prickly patches, you shouldn't feel either of these things. People in the UK dress like it's 25 degrees constantly, I see people commuting in shorts and T-shirts when it's sub 10 degrees, you think you're warm "I warm up when I cycle" No you don't! Trust me! Below is a list of three products I feel will change the way you ride this season. It's easy for you to go to the Assos website and read their description of the product, so please go ahead, however I'm going to talk about how it is, and why they're useful. For years I've had a gap in my wardrobe, I've had knee & leg warmers, but always found wearing summer shorts with them…a touch redundant. Getting these out of their box, it's obvious I'll never have this gap ever again. The first main thing noticed is the thermal fabric in the legs, Assos call it their RX_Medium fabric and a nice feature is that it comes up quite high at the back quite to keep your kidneys warm. Being a lighter (Medium) thermal fabric means that you can use it in temperatures varying from 16 degrees to around 6, dependant on tempo & warmers. The fabric also features a DWR (Durable Water Repellency) meaning water doesn't soak in, it beads up and runs off. Just like your waterproof jacket. The single most important feature I'm enjoying the inclusion of the most though, is the wind proofing and longer chamois insert within the front crotch panel of the short. These two things combined mean that I don't need the bathroom as often on a ride and overall I'm 100% more comfortable. The reason these are so important for me currently is that when I leave the house, it's 8 degrees, when I come home, it's 14+. The difference is just under double the temperature from the morning ride. That means I can ditch the leg warmers for the ride home and not be too warm. Bliss. The short is based on the Equipe_S7 model, our most popular bib short at Bespoke, it's a proven platform. If you love those, there is no question how you'll get on with the Tiburu. (Also see Barry's recent blog where he tests the Tiburu shorts). To the casual observer the Intermediate Jersey can seem a bit redundant; surely you could wear arm warmers and a summer jersey? While you can definitely do this, not all summer jerseys are up to this task. You need something that will block the chill but breathe well enough so you don't overheat. Not just a thermal layer for your arms. The Intermediate Jersey is perfect for the current season, the front panel is windproof and super stretchy with it, blocking a lot of the chill from your core. The stretchy nature of the front panel is key to the garments comfort and really enables you to dial in the fit, getting it nice and tight so that the arms and back panel actually wick the sweat from your body. The rear panel is a marginally heavier summer fabric, holding it up to the light you can see straight through it, surely this will be too cold? Not true. A windproof layer on the front means you're going to generate quite a significant amount of heat, with no air to wick it off you that warmth needs to go somewhere, out the back! This is a feature I love about Assos, their willingness to not compromise on what fabric needs to go where. 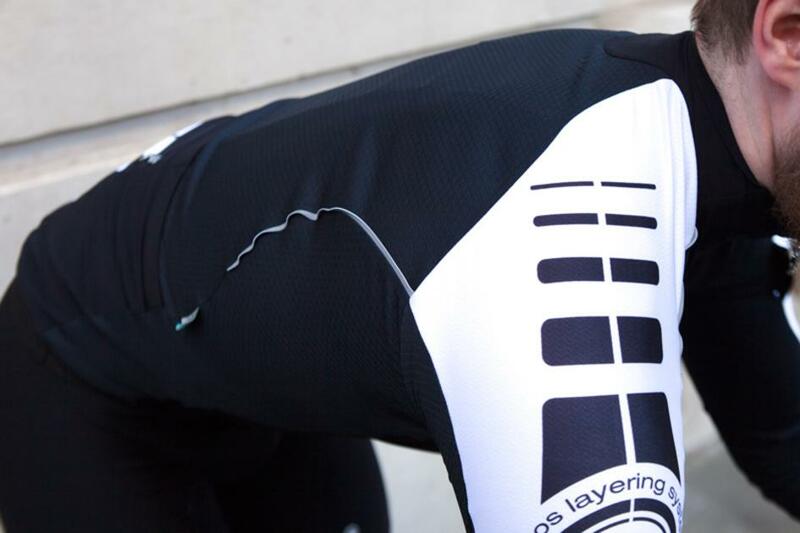 I have used a competitors Pro Team Long Sleeve Jersey now for some time and one thing you'll notice is how the jersey is made from one fabric…The Intermediate Jersey is made from 6, the right fabric goes in the right place, no corners cut. The jersey is definitely a tempo garment when the temperature drops, if you're riding at an easy pace you might not feel like it's enough, however when you do start to push harder, the minimal arms and back panel reveal their intended use, which is to vent the heat your body is creating and keep you regulated. 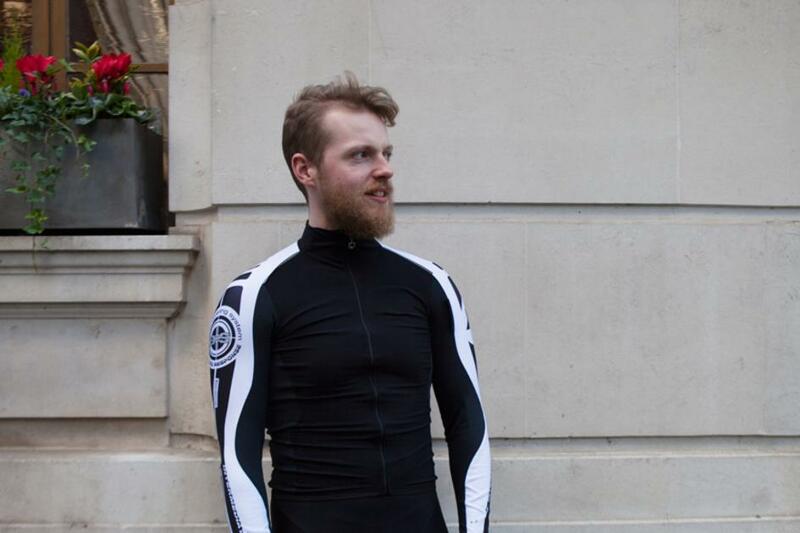 Pair the IJ with a lighter or heavier base layer dependant on the external temperature/tempo and you'll be golden, it's my go-to when a summer jersey isn't enough and a winter jersey is too much. For those who prefer a more restrained look, we now have the Intermediate available in the limited Prof Black edition in store. Earlier in the article I mentioned versatility as being a key feature in autumn gear, the Assos Leg warmers are a perfect example of this. 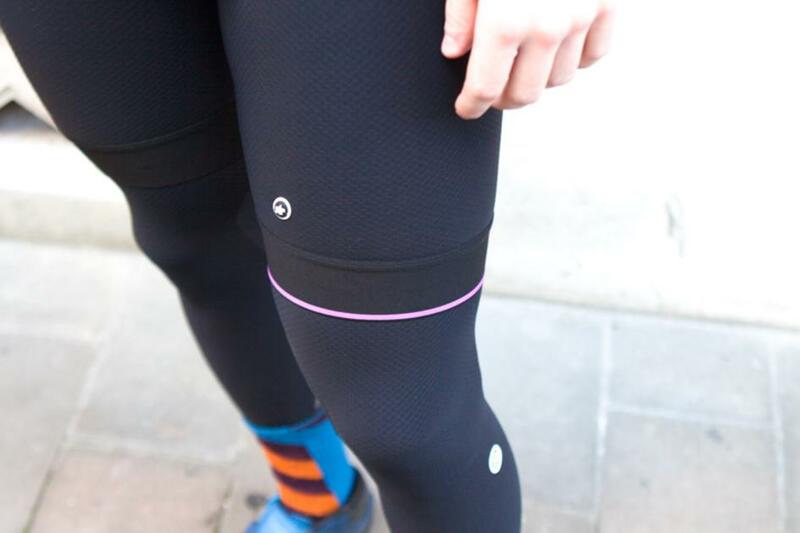 First of all, the difference between the leg warmers and the Assos knee warmers is standout. 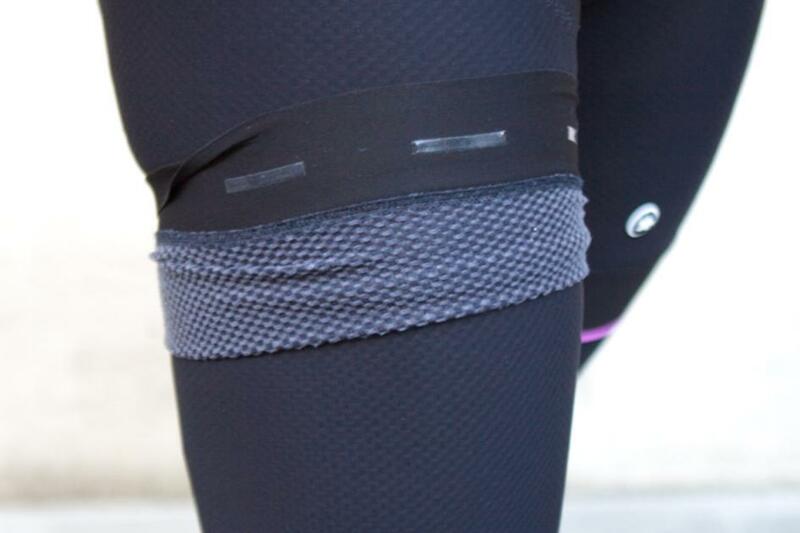 The knee warmer is made from a premium but stripped-back thermo-roubaix fabric, simple and functional design. The cut on the legwarmer is phenomenal, the top section is cut on a slant meaning that the outer section sits quite high up towards your hips, while the inner sits lower down. This means maximum coverage of thermal fabric. RX_Medium. Like I mentioned earlier, RX_medium thermal fabric features a DWR on the outer layer, this extends to the leg warmers also being their primary composition. Having a Durable Water Repellence on your gear makes a huge difference if there's chance of a shower, most of the water will run straight off the cloth, therefor staying dry and keeping you warm. Third and finally, the rear knee panel is standout to me. The last thing you want are seams scratching you from the inside and getting in the way of your legs motion, the back section of the leg warmer has a lighter fabric to aid in venting heat and is cut to be completely unobtrusive. A simple yet often overlooked design decision that will maximise comfort. I've been using these with my Tiburu shorts now for a while, especially for early hours riding pre-work when I know the ride home will be warmer. Being able to effectively create a lightweight and modular set of bib tights is an invaluable thing (and cheaper), verses committing to all out winter kit morning and evening. I hope this article highlights some of the more complex garments Assos make and their intended use, everybody should own each piece I've spoken about, they're worth their weight in gold. Look out for an article on winter kit when the temperature really drops.